A stitch in time saves…seven? Normally associated with sewing, this saying can also be applied to woodworking too! Every single woodworking cut, whether it be on a table saw, router, drill press, or bandsaw begins with one common process – setting up the machine to do the work. And every piece of wood in the project will require its own unique machining, considering depth, height and length of the part being milled. In many cases, parts need to be cut on more than one machine, meaning additional individual setups. Clocks are easy to make and are are excellent gifts for any occasion! 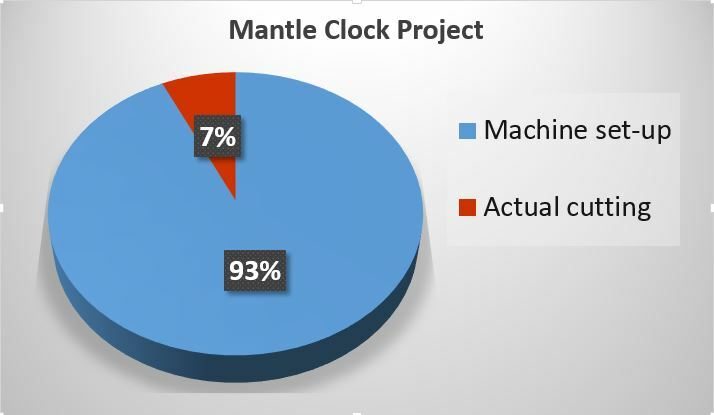 I recently conducted an analysis of a woodworking project to compare how much time was spent setting up machines to make cuts verses the time I actually spent making the cuts. The results were surprising, to say the least. The project was a small mantle clock, a perfect project for beginning woodworkers. 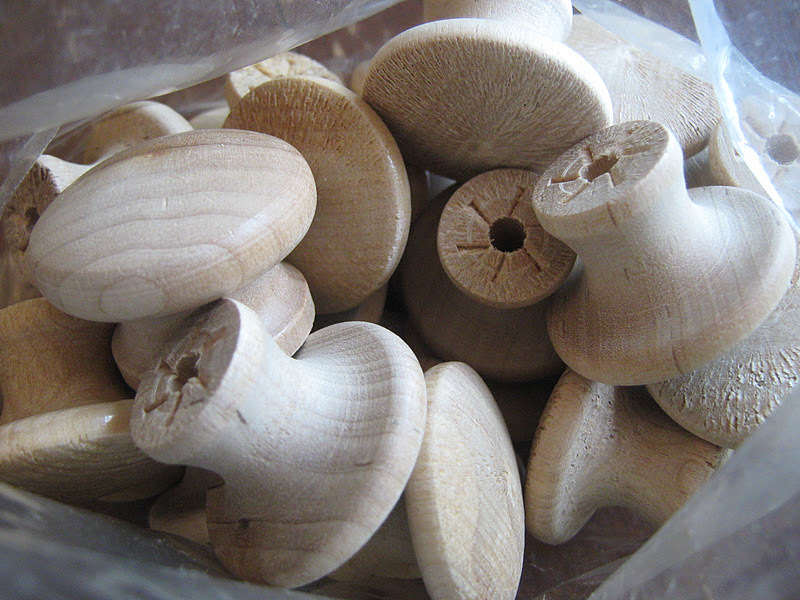 It required milling 26 individual pieces. Overall, there were 15 uniquely-sized parts, meaning some of them were simply duplicated (2 sides, 4 glass frame, 2 drawer stops, etc.). This meant 30 different fence or miter gauge adjustments on my table saw (15 lengths, 15 widths). But it was at the router table where most of the setup time was required. Rabbet, dado, roundover and cove cuts meant multiple router bit changeovers. Additionally, setting the table fence and making micro-height adjustments to the cutter bit on test pieces added to the setup time. Surprisingly, the results showed a mere 7% of the total time was spent actually cutting parts. The other 93% of the work was setting up the machines to make the cuts! Small projects like the mantle clock, toys, bird houses and music boxes don’t require a lot of materials to build. In many cases, you can use leftover material from larger projects, making them very economical as great gift ideas! Considering the amount of time and energy in setting up equipment for a single profile cut on a small piece, it makes sense to go ahead and cut more than one. In other words, making several of a project gives a better return on the investment. Case in point: It would have taken right at ten labor hours to complete one mantle clock, including planing, sanding, gluing and finishing. Instead, I was able to make a total of eight clocks in 22 labor hours, bringing my average time down to just two hours and 45 minutes. That’s an amazing time savings of seven hours and 15 minutes per clock! This, of course, takes into consideration the non-cutting elements just previously mentioned. By “stitching” or making multiple clocks at one time, I was able to save seven additional setup times had I built them separately. Every woodworker will agree, making just one of a small project will never be enough. Once it’s seen by others, you’ll be asked for more. You might as well take care of the future now by making several. Don’t sit on extra parts, use ’em! There are a host of other cost-saving benefits to making several copies of your small project at once. Shipping, finishing supplies or other accessories are usually packaged in bulk quantities that provide enough resources to build several at no additional cost. For example, my clock called for one small drawer knob, but the knobs are sold only in packs of 10. And the shipping costs of my clock parts? They charge the same for one as they do for eight. Easily get the most out of your time and money through volume. You’ll be glad you did! 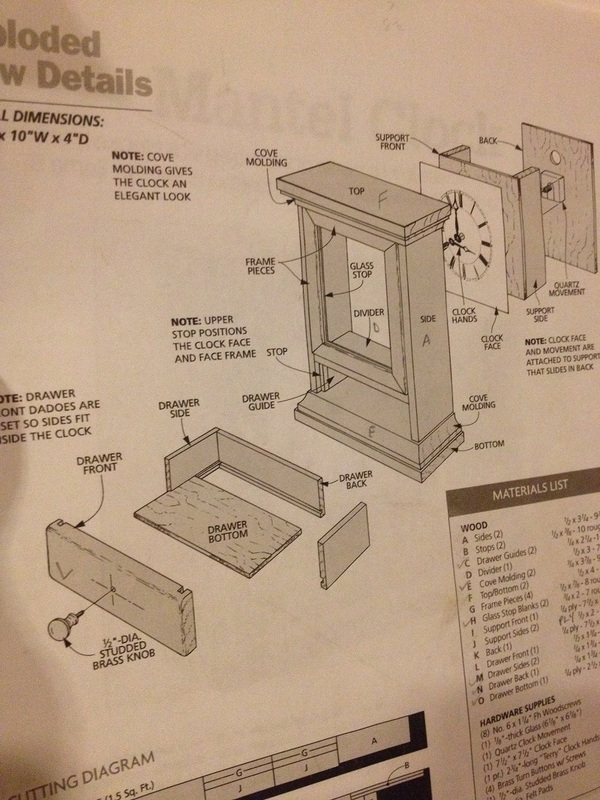 Editor’s Note: A large selection of mantle and desk clock woodworking plans and clock parts are available online at klockit.com. 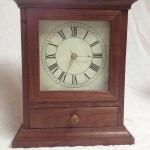 Free plans for the mantle clock featured in this blog can be found here. 1 Comment on "The smartest way to increase output in your woodworking shop"
Good analysis. Brings back memories of industry evolving to “Just In Time”. As production run size was reduced setup time on large punch presses was important. Industry wide the goal was a 10 minute change over. That was a totally new way of thinking, just like your study revealed.